I really didn't want to get this blaster, but when the pickin's are slim... sometimes you just have to get what is available. I keep telling myself that one day something really big is going to come out of a UD2 blaster and then I'll be really happy. Hmm, I wonder if that 'one day' is today! Will there be a hit in this blaster? I really hope so! The odds of getting a hit in a blaster are pretty slim, but I feel like I've gotten enough of these blasters to at least hit one. This is probably the most I've gotten of an Upper Deck product at my local Target. Whoever puts in the orders for blasters at the store must be wondering who's actually buying all these hockey blasters from the store. It's got to be out of the norm. That being said, they've got to see that the supply of hockey blaster is dwindling. I really hope they order more product... otherwise I'm going to have to either break more non-hockey products, or try to find hockey products at other retail stores, which isn't easy to do around here. I'll have to put some thought into this. Welp... no hit... still. I've just got to come and accept the fact that I'm just not going to get much out of these! 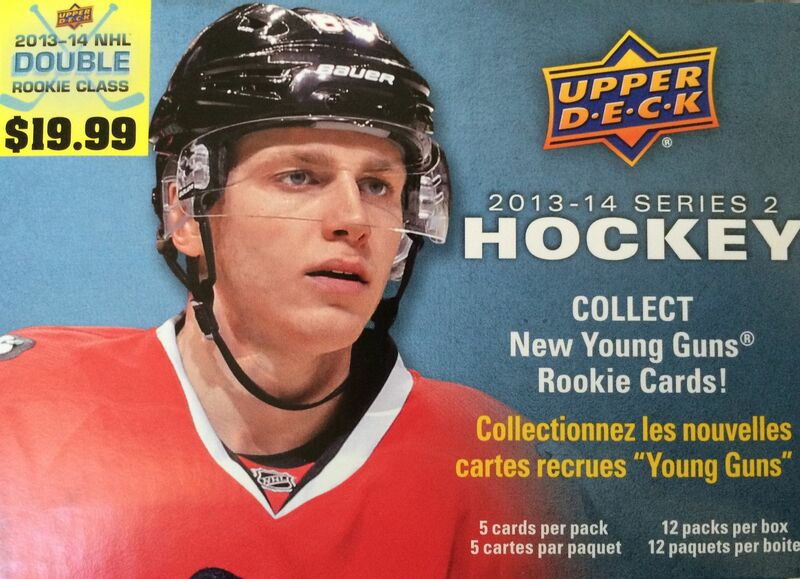 This box broke the same as every other Upper Deck Series 2 so far from this year. A lot of base packs were here along with few parallel cards and a couple Young Guns. There just wasn't much to this break at all, unfortunately. My Young Guns weren't big names, and the other cards were inconsequential. I thought about showcasing the top three photographs from the break, but as I looked through the cards, the cards I got today didn't have the most unique photographs in the set. And that's one of the the things you just come to expect from UD1 and 2 - good photographs. I cobbled together a top three from this break, but to be honest with you, it was pretty difficult. There just wasn't much to this box. Of the two Young Gun cards in the blaster I chose Beck to be in the top three because he is an offensive player rather than a defensemen - yup, that's it. 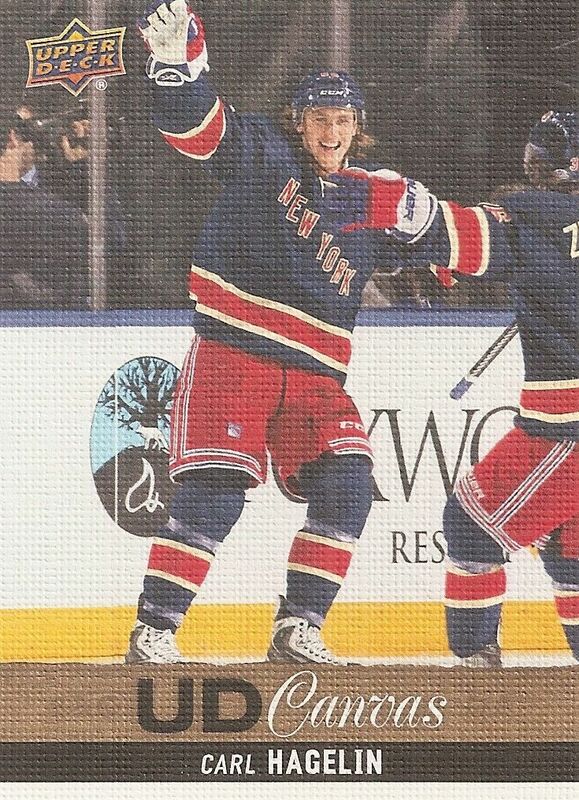 Hagelin was a popular rookie a couple years back, and he's still having success in the NHL. That's really good. I'm always interested to see how a popular rookie pans out as they go through their playing career. You know it's a touch break when the number one card is a Hockey Heroes card. 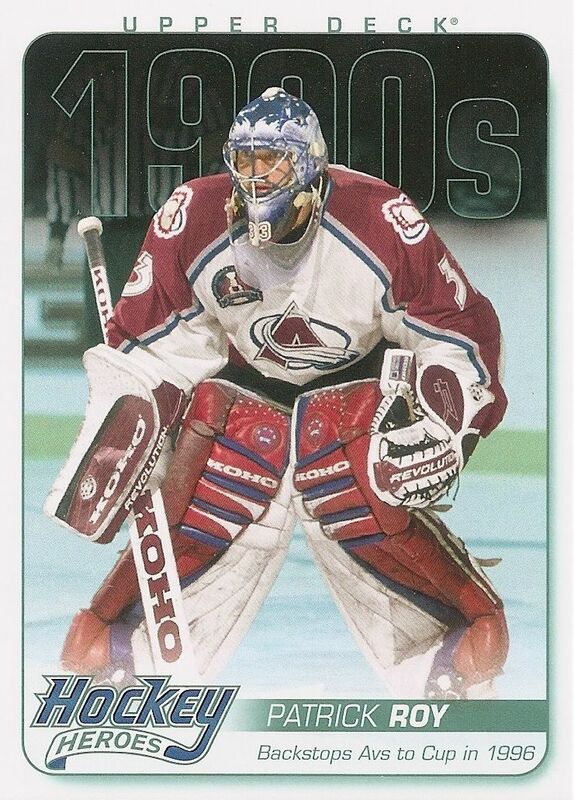 Patrick Roy is a legendary goalie, and he deserves the top spot this week. 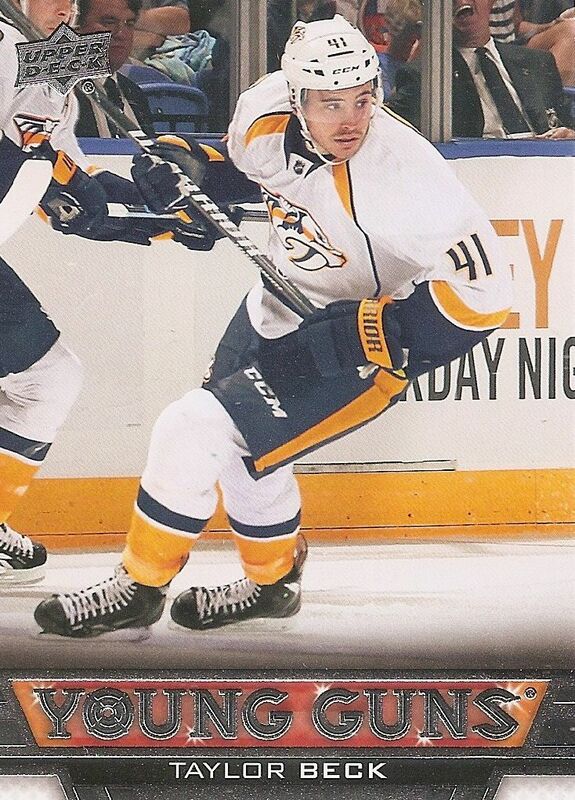 So, my top card was a Hockey Hereos insert card... that kind of tells you how good this break was. So the great box of UD2 still eludes me. This will probably not be my last box of UD2 in Retail Review. One day I will hopefully get something of note in one!